2018 is a noteworthy year for two reasons. 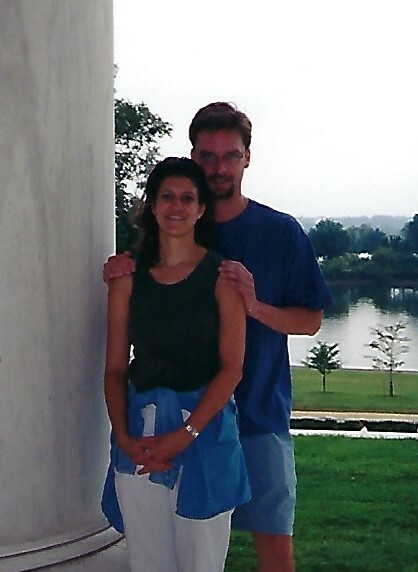 Twenty years ago, on a fortuitously warm and sunny March morning in Washington, D.C., I met Susan, my future wife. 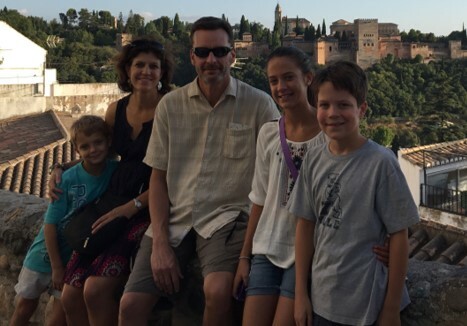 Shortly after, I made the leap to start my own financial planning practice and join Raymond James. Those two intersecting events, needless to say, were life changing. On our first date (Italian, I think), I shared my business plans with Susan. We talked about branding and brainstormed names (pretty romantic, I know). She was heading to a different state for business school in the fall, so at that point I don't think either of us dreamed that this would be a shared journey. Two months later, Susan helped me clean out my desk at the brokerage firm and haul boxes to my new Raymond James office space. I started calling the clients in my Rolodex to let them know about my move—what Susan likes to call my "Jerry Maguire" moment. I'm still grateful for the clients who believed in me and followed me, a number of whom I still have the privilege of working with today. Susan left for business school, returned to the D.C. area in 2000 ... and we married in 2002. In 2003 I studied and sat for (and passed!) the CERTIFIED FINANCIAL PLANNER™ professional exam, which helped expand the scope of my services to encompass a more holistic, whole-life approach to helping clients achieve their financial goals. I had the good fortune in 2005 to acquire the business of a retiring financial advisor. It has been rewarding to get to know and work with the many wonderful clients who made this transition with me. Susan shuttered her marketing consulting business in 2009 to become a licensed Financial Advisor and officially joined the practice as Client Services Director. Also in 2009, we officially changed our name to Estes Wealth Strategies. While still aligned with Raymond James, we felt like this more aptly reflected our independence and personalized, family-oriented service approach. Kathleen Lazor joined our team in 2016 and has been integral in helping us increase client outreach and keep all of the moving parts in the office running smoothly. Besides adding a little gray to my beard, the past 20 years have also added perspective—and I hope, wisdom—to my work, reinforcing my commitment to balance and a long-term view. Through experience, I've developed an even deeper respect for planning as the best antidote for life's uncertainties. But perhaps most of all, I have come to feel such gratitude for the many people who have joined us on this journey. Indeed, one of the greatest pleasures of my work is getting to know the individuals and families—many across multiple generations—who have placed their trust in us to help them reach their financial goals, whatever they may be. For all of you who have been part of this journey—whether as a client, a professional partner, a supportive friend or family member—we at Estes Wealth Strategies thank you from the bottom of our hearts. And we look forward to traveling the next leg with you.